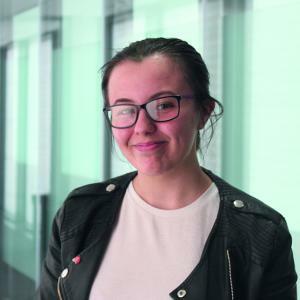 Lydia, a former The Warwick School student left ESC with a Business Level 3 qualification, going on to Aston University to study Marketing, after being awarded a scholarship based on her College grade. Her favourite elements of the College courses include working alongside other students on group projects, and studying marketing. Her desire to study this area of business at University came about after a work-based project set by her tutor, which involved developing and marketing a new Ben & Jerry's ice cream product! Lydia is enjoying the independence of university, and is grateful for the support she received from her tutors whilst preparing for the transition. "My tutors looked at the course programmes and provided me with more information on things like; what each year is like, what a sandwich course meant and what lectures and seminars are like based on their own university experience. This gave me more of an understanding of what was going to come."